In our most recent blog post, we described a proposal for reimagining health care using a six-point value agenda designed by Michael Porter and Thomas Lee. We at CMT Corp. have been working toward the same goals, developing our Physician Collaboration Platform in a way that aligns well with the “HIT platform for change” the Harvard authors described. The Physician Collaboration Platform is continuously updated to respond to medical terminology, allowing physicians to use their preferred terms while the system properly classifies the information by its meaning. This capability allows collaboration between physicians from different institutions and even different parts of the world using different medical terminology and classification standards. CMT Corp has borrowed from the Semantic Web Initiative playbook when it comes to data architecture. We created an innovative clinical document architecture that allows information to be understood by both humans and machines using standardized medical terminology vocabularies. – Meaning (semantics): clinical documents need to retain their semantics over both time and distance. – Communication: reliable information delivery to the point of care. – Knowledge Management and Workflow: leverage investment in information through re-use. The information stored in numerous clinical documents physician notes, observations, orders, claims, clinical trials shall be re-used for decision support, guidelines and protocols, rules, document templates. – Interoperability: exchange information and use the information that has been exchanged. This built-in “intelligence” can facilitate physician/clinician alerts to relevant data, ensuring that urgent patient situations or conditions are elevated promptly. The CMT Corp platform is designed for access. It enables physician collaboration in a logical and seamless way, ensuring continuity of care with HIPAA-compliant data sharing on any internet-enabled device. In a future roll-out, the technology will allow widespread patient communication, data entry and viewing. CMT Corp. has spent more than a decade honing the technology that makes it easy to move patient images and data. The data is arranged in a patient-centered schema, ensuring that the information is not presented out of context. Lab tests and x-rays are the easy part! The challenge comes with digital images—sonograms, CT scans, MRIs, PET scans, etc.—where even after the file is transferred, it may not be accessible using the recipient’s software. The Physician Collaboration Platform eliminates the issues of platform compatibility by embedding all the desired readers into a single system. 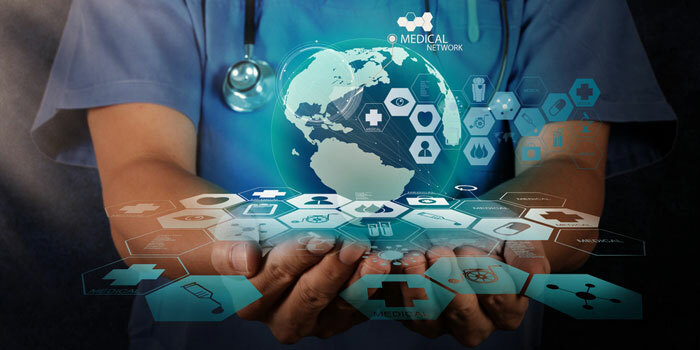 The CMT Corp. platform will also facilitate the formation and management of Accountable Care Organizations (ACOs), bringing all of a patient’s information into a single system even if the caregivers are not on one technological platform. And a system architecture that allows for measuring outcomes and tracking costs. As more data becomes part of the Physician Collaboration Platform, outcome and cost measurements can be computed for one health care system, locally, regionally, nationally or across seas. The ability to assess performance and value to support evidence-based medicine is clear, especially for rare conditions in which sufficient data can only be collected across geographical distances. If you think your EHR can do all of this, think again. Even if you are using the most common EHR on the market and the specialist you refer to uses the same one, you don’t have all of the capabilities Porter and Lee described as critical. The CMT Corp. Physician Collaboration Platform provides true interoperability between doctors anywhere. Traditional EHRs include customizations and other technological differences that prevent seamless data sharing. We’ve solved that problem by normalizing data allowing systems to “talk” to each other with ease. Also, an EHR is an historical health record that is not designed to facilitate an episode of care, such as a referral or second opinion. The EHR stores information, but does not structure it along protocol guidelines to deliver all the relevant data a physician needs in an organized workflow. Our Physician Collaboration Platform does just that, ensuring that any missing data is highlighted and putting the most useful information front and center to assist the clinician’s work. In this way, the system supports regional doctors to perform with the same protocols as top doctors at renowned medical centers, helping ameliorate the shortage of specialists and geographic variations in the quality of care.